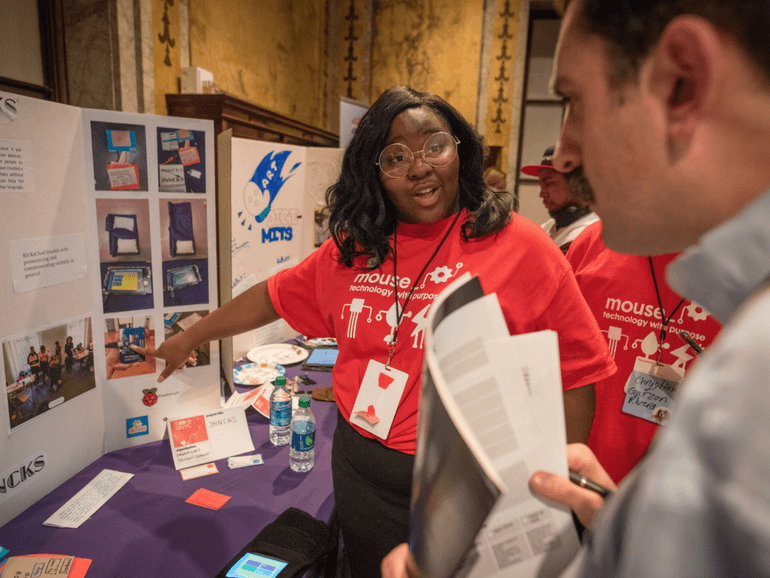 Mouse | Emoti-Con 2018: Young People Lead and Make Change with Tech! 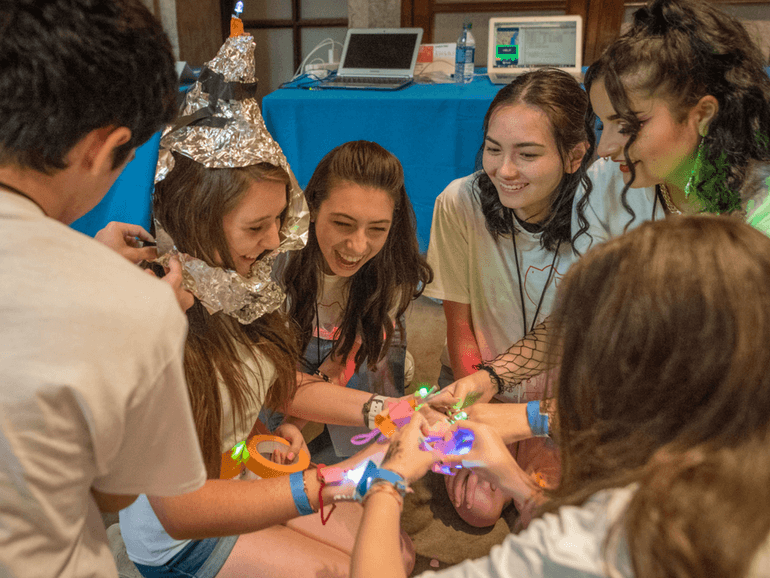 Emoti-Con 2018: Young People Lead and Make Change with Tech! 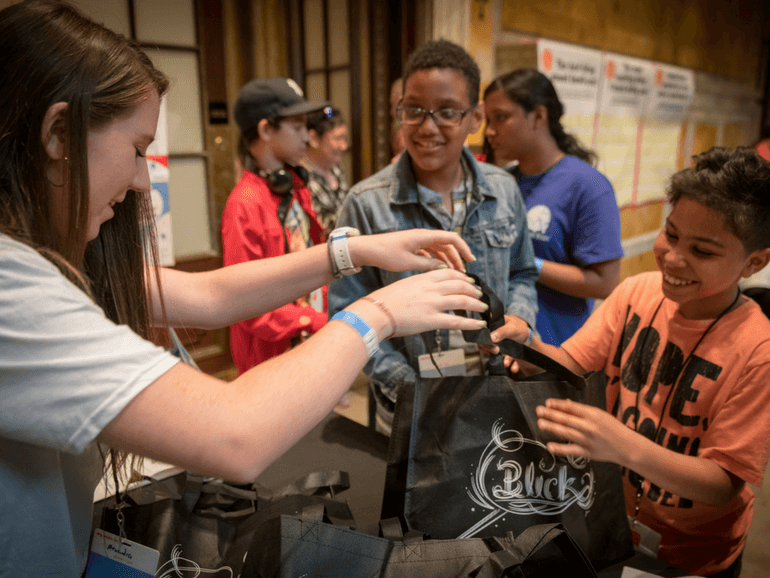 The Tenth Annual Emoti-Con Digital Media and Technology Challenge was held on June 16th, and it was an incredible day for youth inventors, activists, and leaders! 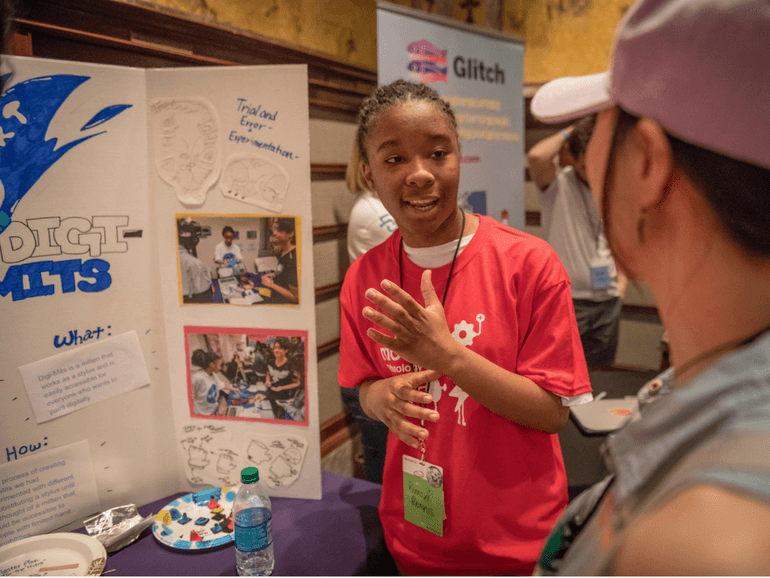 Emoti-Con is New York City’s biggest showcase for young people who believe in innovation as a tool for positive change. Over 320 attendees gathered at this year’s event; which featured over 37 projects presented by groups from Beam Center & Fannie Lou High School, Bronx Academy for Software Engineering, Bronx International High School, CS4All, CUNY, DreamYard Design League, Educational Video Center, Global Kids, Halsey Middle School, IS 392, The Island School, Marsh Avenue Expeditionary Learning School, Mouse Design League, Nano Hackers Academy, New York on Tech, Queens Metropolitan High School, Redwood Middle School, ScriptEd, STEM from Dance, Tech Kids Unlimited and The School at Columbia. Emoti-Con is designed, organized and hosted by youth! The Aluminati, a group of Emoti-Con Alumni, joined the planning committee to help design and lead the event. 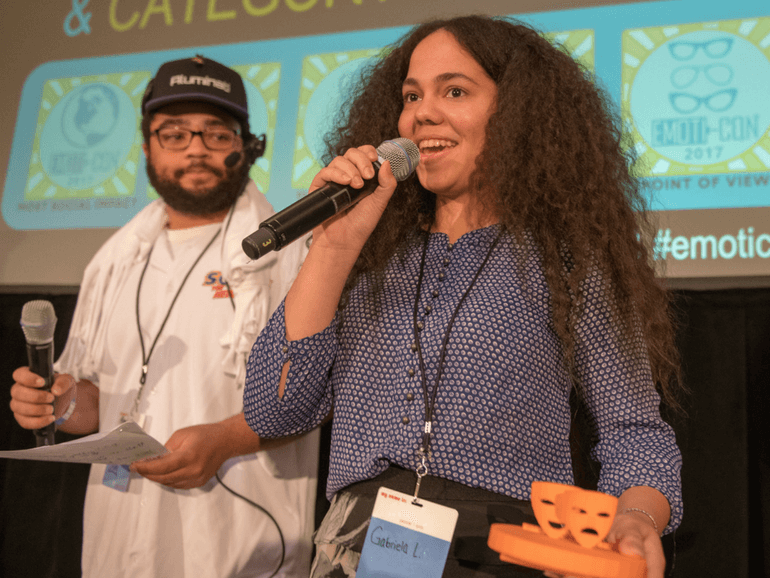 High school students from Parsons joined the Emoti-Con Design Fellows program to create the theme and all of the visual imagery and Global Kids Emcees, a group of middle school students from across the city, designed the stage show and hosted. 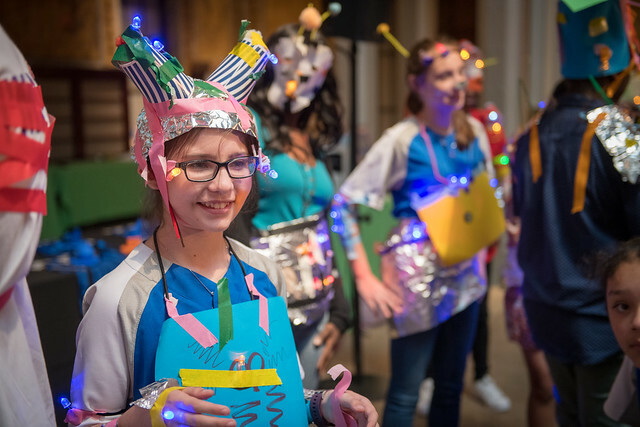 Teams of students were challenged to use craft materials and LED lights to design “America’s Next Top Android”, followed by a robot fashion runway walk. 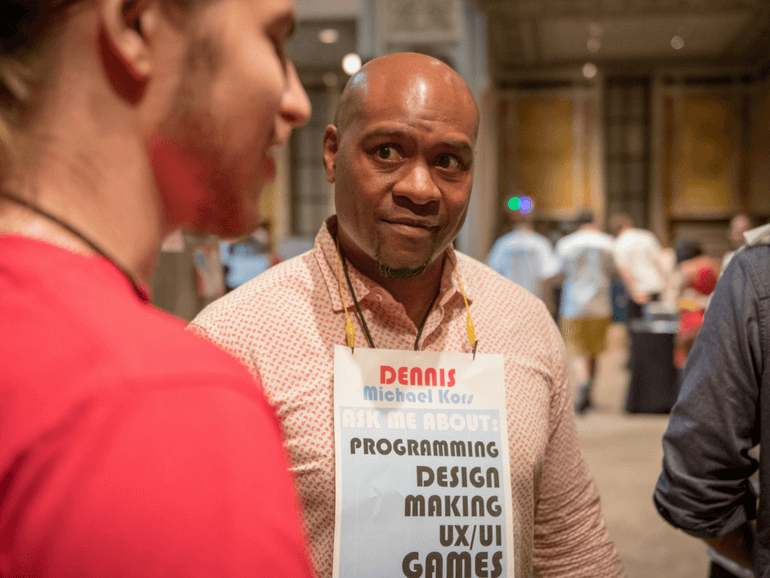 During the “Emoti-Connect” networking session, attendees connected with more than 40 entrepreneurs, developers, designers, makers, educators, engineers who shared their experiences and career knowledge. 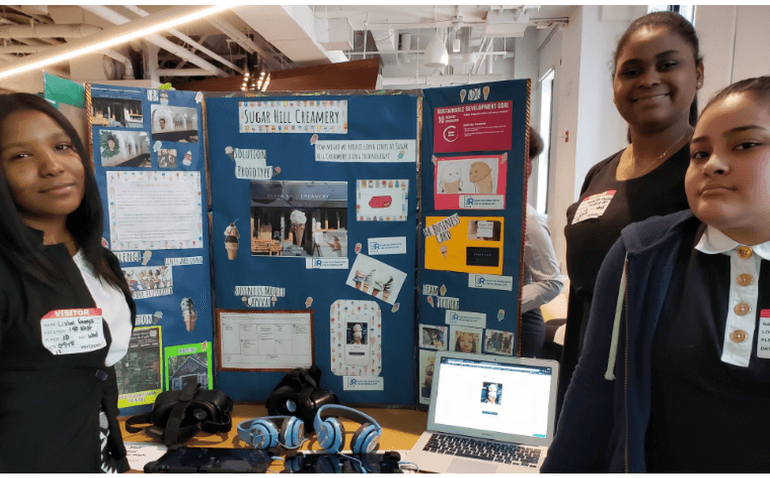 At the Emoti-Con Project fair, student teams from across the city presented their digital media and technology inventions. Emoti-Con 2018 Speakers Nafiza Akter and Dr. Amon Millner gave inspiring keynotes on their experiences in technology, education, design and more. Huge congrats to the 2018 Emoti-Con Winners and Honorable Mentions! Check out all of this year’s projects here. 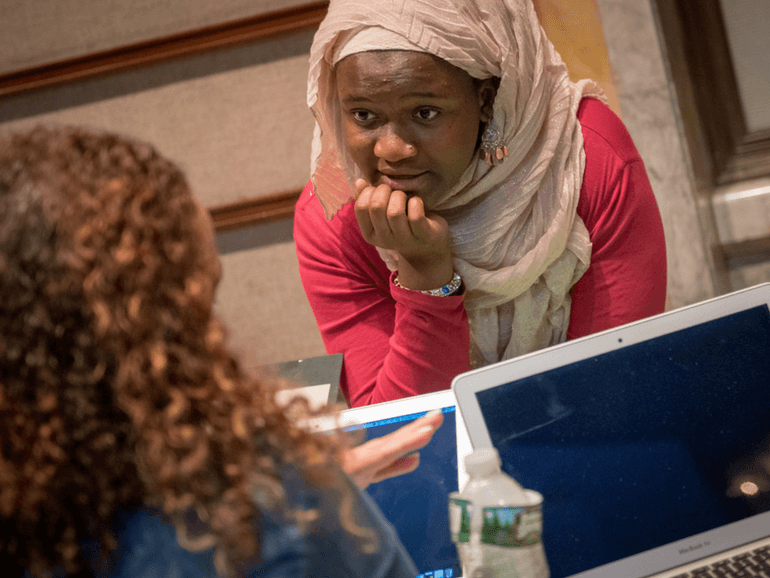 Point Of View: The Hijab Experience (The Island School) Not long ago, Jibeh made a conscious decision to wear a hijab. It made her feel connected to both her family and her religion. Yet, many misunderstand her reasons and see her as a victim or a threat. To change minds, she created a documentary in which schoolmates try on the hijab and react to her questions. After deeply researching a social issue, Island Schoolers use low- and high-tech tools to raise awareness of problems & help solve them. Most Social Impact: EmpQuest (Tech Kids Unlimited) EmpQuest is an application prototype developed by the Creative Tech Teen Interns at Tech Kids Unlimited. After researching needs of the autistic community and related statistics on employment and education, the interns decided to create an app that helps the young adults on the spectrum with the job application process through games, video lessons, quizzes, and more. This project was developed over a few weeks, involving research, brainstorming, prototyping, and user testing. Most Entertaining: Elegant Unisex Beauty Salon AR Project (Bronx International High School) For this project we partnered with my family’s salon business in the Bronx. We used design thinking to empathize with the owners and workers of the business and learn about the challenges they face. We then brainstormed solutions and created technology-focused solutions such as AR posters and a website for the business. Also, we created a 360 video of the salon! Most Innovative: Digi-Mitts (DreamYard Design League) Digi-Mitts is a mitten that is inspired by those who love to do digital art but have limited hand dexterity. This mitten helps users paint digitally without the use of a digital pen. Best Pitch: Sugar Hill Creamery (Bronx International High School) This project is about developing a technology-focused solution to a challenge faced by a small business partner. We used design thinking to learn about our business partner Sugar Hill Creamery and create prototypes. We conducted interviews and received feedback about the work that we had done. In addition to an interactive poster and business card, we created a prototype app which allows you to order your ice cream ahead. Augmented Reality and 360 video is used multiple times to communicate and present our project. Crowd Favorite: Petal/Pedals (Beam Center and Fannie Lou Hamer Freedom High School) Pedal/Petals was co-designed by Beam Center Instructors and teens in the student government at Fannie Lou Freedom High School for their annual Peace Block Party. Peace Block is a youth led event against gang and gun violence, instead promoting unity and positive engagement in the community. On the interior of each petal is a theme of self-care that has been important to each student during their past four years at school. 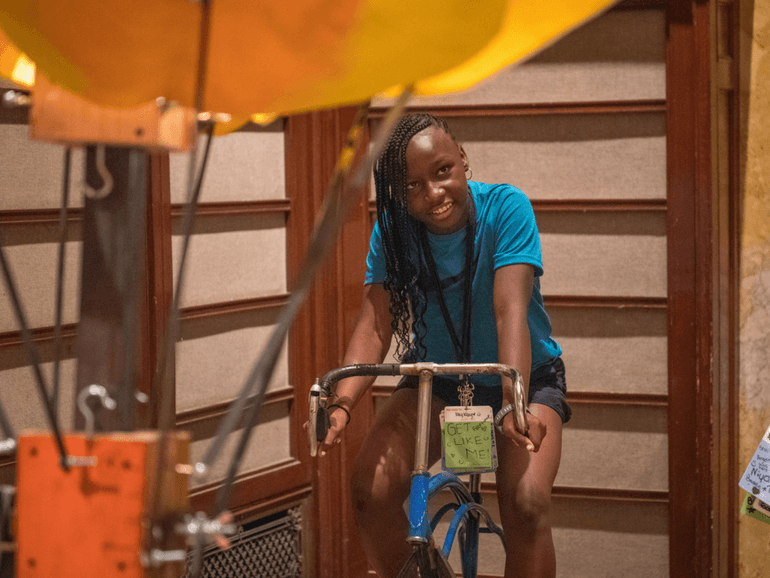 As the bicycle is pedaled, the flower opens through a modified cam mechanism exposing these messages of self-care and symbolizing the self-esteem that blooms as a result. This year’s organizers Global Kids, Mouse, New York Public Library, Parsons School of Design, and CS4ALL. Emoti-Con 2018 Sponsors BNY Mellon, Capital One, and Con Edison for generously sponsoring this event, and In-Kind support from Blick and Glitch. Most importantly, a huge shout-out to everyone who joined us at the Emoti-Con 2018! Thanks for an incredible day celebrating technology and making change in our world. Visit emoti-con.org to learn more about Emoti-Con 2018 and see more photos on Flickr. < No Such Thing, Episode 34: "MakerEd & Autism"